Did you know that White Rice, White Sugar, and White Flour are all refined carbohydrates? They are highly processed foods and are stripped of minerals, nutrients, and fibers. 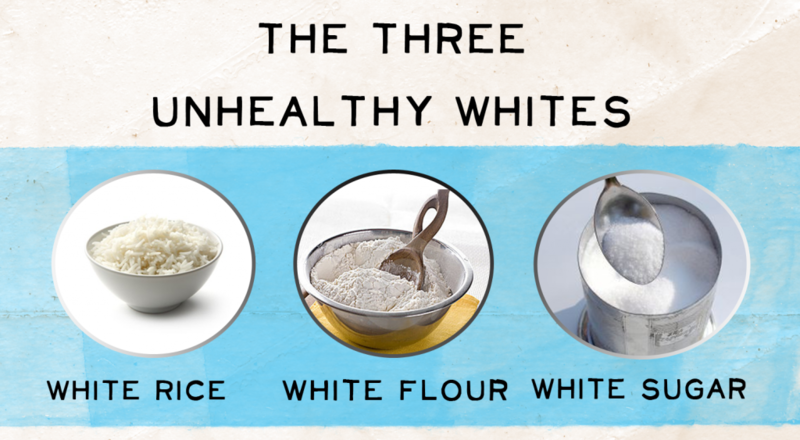 When looking at our daily Jain meal, we tend to use a lot of these white refined carbs. So this week, we challenge you to make Healthy Jain Meals with no white rice, no white flour, and no white sugar. What are some resources to facilitate the completion of this challenge? Check out The Cooking From The Heart" Cookbook made by the South Asian Health Center. It's an extemely comprehensive resource that puts together some of the most healthiest and delicious meals. Though, they are not all Jain recipes, please remove and/or add in the substitutes (add in tofu; take out the garlic and onions and etc.) that can make them a Healthy Jain Meal! 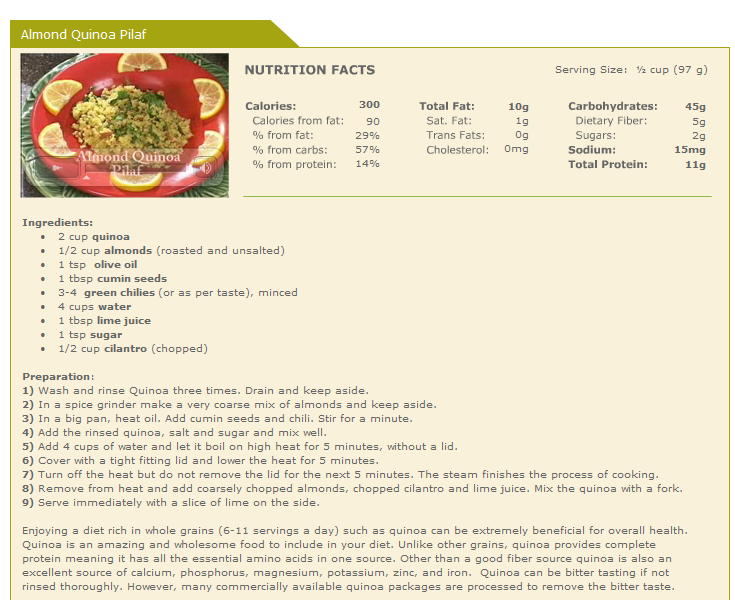 Here's a quick snapshot of one of their recipes. You can download the PDF of the cookbook here.